A glance at mid-century America reveals it emblazoned with the familiar totems: military might, industrial supremacy, cultural imperialism. These were carved by fervent if not blind progress, and you’d be given a funny look (if not worse) were you to dare question that. Nobody would dare bat an eye as freeways forever cut up cities, and huge swaths of our collective memory were lost to parking lots and well-intentioned developments. Funny old buildings were the realm of mutants, after all. But even in the glory days of unquestioned, unfettered forward movement—before, say, Dallas ’63 and Watts ’65—there was a small rumbling of (not unpatriotic) discontent. Landmarks were lost hand over fist but when in 1962 it came time for Penn Station to become so much New Jersey Medowlands landfill, eyebrows were raised. This was Penn Station, after all. Somebody at Life magazine (somebody who ambled through Penn Station to the Life offices at Rockefeller Center, most likely) realized that losing our common heritage would make a nifty nine-page spread. And so Life called upon heavyweight photojournalist Walker Evans to do the immortalizing. What can be said of 101-109, aka 101-111 South Flower? Precious little. We know that it is announced in February of 1904, to run $16,000 ($364,809 USD 2007). But a thorough check of its various addresses shows that nothing of consequence ever there occurred. Sure, there was the small matter of Clifford Gooding, who’d married his gal Marie and had a daughter with her, only to disappear after a few years. Marie heard Clifford was dead, and so she remarried, only Clifford wasn’t dead, just…disappeared. To Bunker Hill. She lived down on 37th Street; Bunker Hill may as well be the moon. After six years of Clifford being “deceased” she caught wind that he wasn’t, had him tracked down, and he was popped at our First & Flower apartment house in November 1925 on a deadbeat dad charge. That’s about as racy as it gets; that, and the residents of this particular place had a terrible habit of stepping off of this curb and that into fatally well-built oncoming automobiles. Today, of course, the building is demolished, but one isn’t always expecting to find the same thing to have happened to the street. Where has all the Flower gone? In each of the two images below: First at the top, Second at the bottom, Figueroa at the left (yes, I know Fig is a Street and not an Avenue, that’s Baists for you) Hope on the right. In the top image, Flower runs down the middle, and there’s 101 in orange, with “Labarere Tr.” (for Labarere Tract) written across it. In the modern image below, well Flower just went away. Penn Station, of course, is demolished. This action is largely credited for impregnating America with preservation consciousness. This isn’t true, of course, but that’s ok. In writing about the Amesbury, Mass. Rocky Hill Meeting House Life notes that a proposed expressway is taking down three 18th-century buildings and coming within yards of the structure, which is in a state of miraculous state of preservation. This writer does not know if the 1963 worries about blasting and vibrations undermined the building, or played havoc with the 1780s glazing, but I do know that the 495 is now a stone’s throw away, and I call that wrong. Nevada City, best extant example of a Gold Rush town, was to be partly lost when the four-lane CA-20/49 bisected the little burg. But the “outraged local groups” apparently persuaded authorities to shift the highway, saving the most historic buildings, which thus now stand to this day. After the Mathews Mansion was foolishly given to the City of Norwalk, Conn, the City embarked on a period of Official Neglect until they could plead “It Can’t Be Fixed!” and set out to demolish it for a city hall. After a three-year battle, citizens saved the mansion by referendum; the city ignored this and set out to build the city hall on the mansion grounds again. Eventually, though, the mansion was saved, we hope for some time. The 1874 Greek Revival San Francisco Mint was also a victim of Official Neglect; the city thought it a swell place for a parking lot, and had let it deteriorate to the point of its roof collapsing. Its demolition was slated for 1965; as can be seen, that did not happen. And so while the vast majority of the subjects in Life’s article survived to see another millennium, 101 South Flower did not. Nor did any of the any other structures shot by Evans that Los Angeles October. On December 10, 1925, road crew worker W.A. Conway of this address demonstrated exactly how tough were the inhabitants of Bunker Hill. He began the day getting blasted in the head by a misplaced explosive charge on the Edward Lynch property on North Louise Street in Glendale, resuming work after receiving six stitches. Not long after his return, steam shovel engineer Tom Adams told powder man L.J. Starkey to set off a charge of black powder in the hole. The explosion destroyed the steam shovel, sent rocks and debris raining down, and was dropped souffles all over Glendale. Conway was unhurt by this second blast, but we hope he took the hint and found a more careful crew to work with. 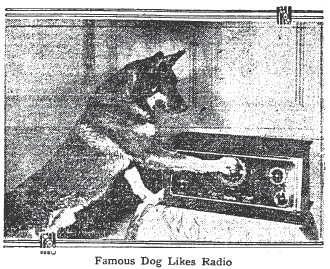 On January 3, 1935, A.E. Kelly of this address had the dubious distinction of being the agent of death for Harold Wilburn, aged 60, who stepped in front of Kelly’s automobile at Fifth and Wall Streets. The accident was explained as caused by the victim being "confused by traffic," but the location of the incident (the corner anchored by the notorious Hard Rock Cafe) suggests Mr. Wilburn may have been lit up like a Christmas tree before stepping out into oblivion. 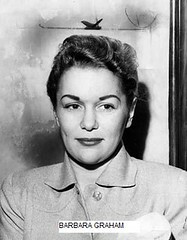 The most sensational trial of 1953 has to have been that of Barbara Graham. The defendant was accused, along with Jack Santo, Emmett Perkins, Baxter Shorter, and John True of the beating death of Mrs. Monahan during a home invasion robbery. 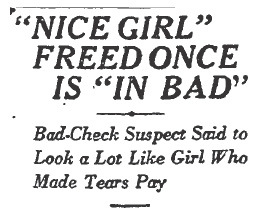 The crime itself was so banal that it may not have made it to the front page of the LA Times at all, and it definitely wouldn’t have stayed there for as long as it did had it not been for Barbara, an attractive 29 year old prostitute and drug addict. The story had all of the elements of a lurid tale from a sleazy detective magazine. Barbara Graham, abandoned by her teenaged mother in Oakland years before, had spent time in the same reformatory where her mom was an alumnus. Barbara had worked as a prostitute, and had become addicted to drugs. She’d been introduced to her co-defendants by none other than her husband, Henry, a small time career criminal. 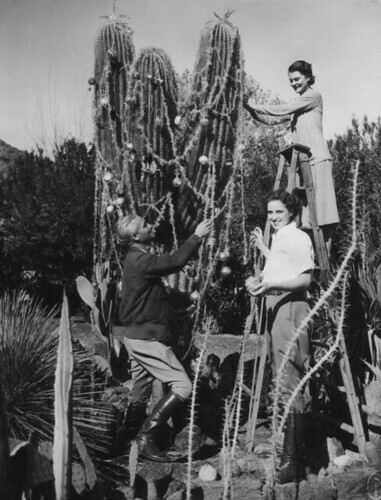 It was rumored that not only was Barbara having an affair with Perkins – but also that she, Perkins, and Santos were frequently engaged in threesomes. The press had a field day. The crime itself was apparently the result of misinformation given to Perkins. He was told that Mrs. Monahan (former mother-in-law of Las Vegas gambler Tutor Scherer) had a sack full of money and jewelry that she kept in her home (the same kind of tragic misunderstanding would result in the brutal murder of the Clutter family in Kansas in 1959, and become the subject of Truman Capote’s brilliant novel, “In Cold Blood”). 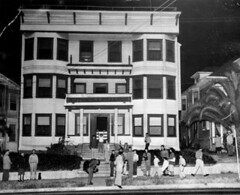 On the night of March 9, 1953, the gang drove to Mrs. Monahan’s home in Burbank. Barbara knocked on the front door and told the woman that her car had broken down, and asked to use the telephone. The men were waiting right behind Barbara and before Mrs. Monahan could respond, they all pushed their way into the house where they immediately started screaming at her. The gang of strung out miscreants kept demanding to be told where she kept her money and jewelry. Mrs. Monahan repeatedly told the crooks that she didn’t keep cash at home, but they were so hopped up on drugs and adrenaline that they didn’t believe her. One version of the story was that Barbara started to beat the victim with a pistol while the men laughed and egged her on. The older woman was beaten to the floor by “Bloody Babs”, as she would later be dubbed by the press, who then smothered the victim to death by tightening a pillowcase over her head. Not surprisingly, Babs’ version of the story shifted the blame onto her partners. But as far as the law was concerned, since all the defendants were present during the commission of the murder, they all shared the guilt. It wasn’t until the suspects had been identified and arrests had been made that the tale would take a turn onto Bunker Hill. Once the drugs and false bravado had worn off and the specter of possible death sentences began to loom large, it was a sure thing that a member of the gang would look to the law for a deal. It was Baxter Shorter who decided to save himself by spilling his guts to the DA. Shorter was an ex-con and a known associate of LA’s premier gangster, the diminutive but lethal Mickey Cohen. Shorter’s friends got wind of his visits with the DA, and they became very nervous. Baxter and his wife Olivia lived in an apartment at 121 N. Flower, and it was from that location that Shorter was kidnapped by two men. 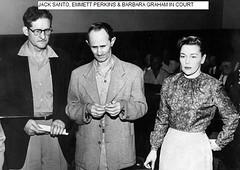 In a photo shown to her by police, Olivia identified one of the kidnappers as Emmett Perkins. The other man was almost certainly Santos. No shrinking violet, Olivia tried halting the kidnapping by brandishing a 30-30 carbine at the husband snatchers, but they told her that they’d shoot her where she stood if she didn’t back off. Olivia told the cops that she had seen a female in the men’s car. She wasn’t able to get close enough to provide a description of the woman, but she was able to describe the car as a 1951 Dodge or Plymouth five passenger coupe – coincidentally, the same kind of car owned by Barbara. Once the car sped away, Baxter Shorter vanished forever. Nary a bone fragment nor a tooth would ever surface, and he would be declared legally dead in 1960. Barbara maintained her innocence until the end. Being a mother of three, she may have avoided the death penalty if she hadn’t made the mistake of offering a fellow inmate $25k to provide her with an alibi for the night of the murder. Unfortunately for her, the cellmate was actually a cop, planted to befriend her and gather information. Barbara’s blunder had doomed her to death. 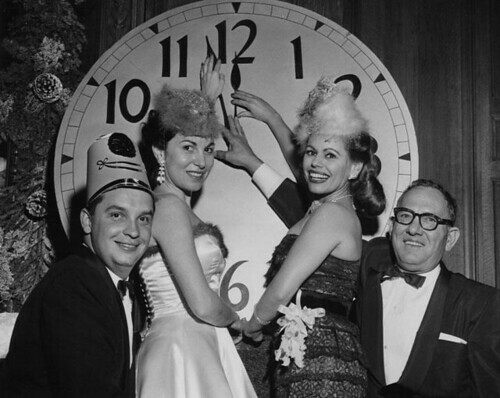 Santo, Perkins, and Barbara would all die in San Quentin’s gas chamber on the same day. Graham’s execution was the paradigm for cruel and unusual punishment and would be the topic of many impassioned editorials, even by supporters of the death penalty. On the morning of her execution she’d dressed in a beige wool suit and brown pumps, and had tried to prepare herself to face death. 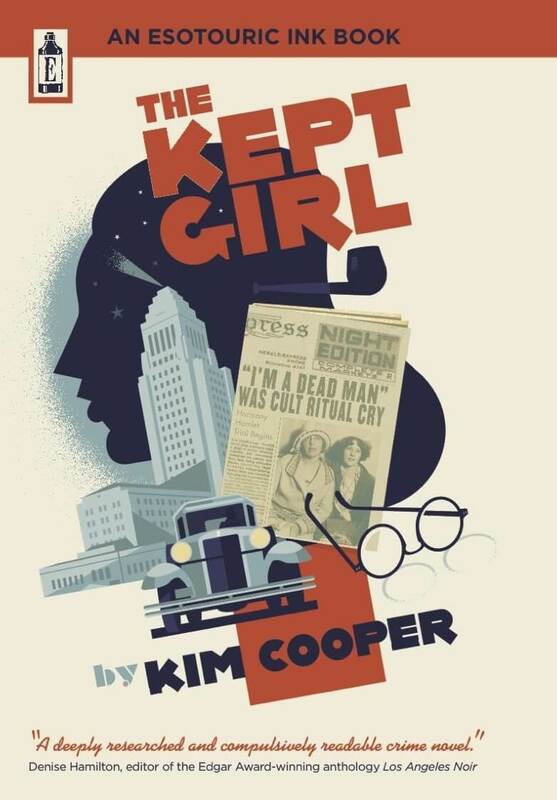 She was scheduled to die at 10:00 am on June 3, 1955, but was granted a stay until 10:45 am. Her execution would be delayed one more time, causing Barbara to ask “Why do they torture me?” Finally at 11:28 am Barbara was blindfolded at her request, and was led from the holding cell to the gas chamber. For a fictionalized account of Graham’s story, rent a copy of the 1958 film, “I Want to Live!” starring Susan Hayward.